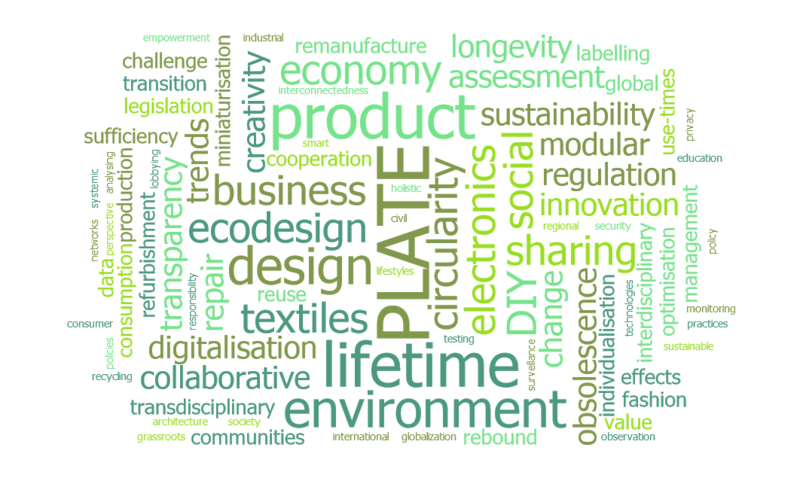 What topics are the focus of PLATE 2019? To clarify the scope of the conference we would like to phrase a number of questions. There is also a structured list of topics. What exactly are product lifetimes and how can they be measured, calculated or estimated? How does/should one determine initial product longevity (at the design stage, before products fail in the market)? How are different product lifetimes affecting environment and society? What are the environmental or sustainability effects of shortened or prolonged product lifetimes? How should one design to produce durable and longer lasting products? How can changes in use patterns and business models contribute to promoting longer product lifetimes? E.g. when is a focus on higher use intensity even more important than a longer lifetime? How do alternative consumption practices, like repair, DIY, 3D-printing and collaborative consumption, contribute to longevity? Counterarguments and controversy welcome: when is an extension of product lifetimes neither good for the environment, for the society, for the customer or for the manufacturer? In which research fields or business sectors is a focus on product lifetimes meaningful? Abstracts will be reviewed in a double-blind peer review process. The review panel will propose assignment to oral presentation sessions and poster sessions. All contributors – to oral presentations and poster sessions alike – will have to submit a short paper after acceptance to be included into the conference proceedings. These will be distributed online before the conference. All contributors will also be invited for special issues in acknowledged journals after the conference. 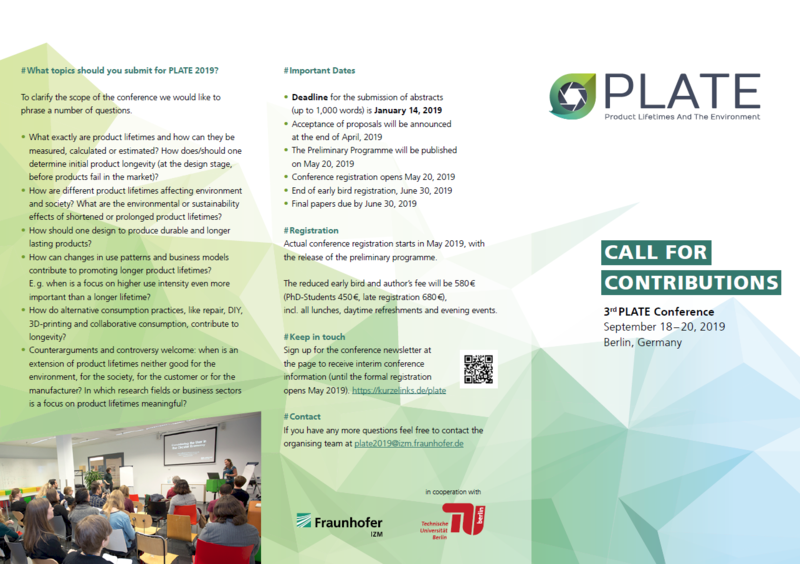 Already submitted contributions can be found in the conference platform ConfTool. The presentation sessions will take the form of 30-minute time slots throughout the conference, allowing roughly 25 minutes per presentation. Posters are equally as valuable as oral presentations and will receive the same publication possibilities. To promote poster interaction, a 90-minute slot will be reserved to allow short “elevator pitch” presentations for each poster. This will be followed by the “traditional” format of a poster session, where the poster presenters will be in direct discussion with conference participants in front of the posters. Deadline for the submission of abstracts was January 21, 2019. Sign in for the conference newsletter at the bottom of the page to receive interim conference information (until the formal registration opens May 2019).